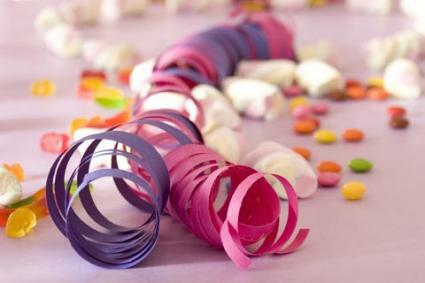 As you plan your child's party, it's easy to get overwhelmed by the amount of kids' birthday party supplies you need. Luckily, party supplies are available everywhere, from your local grocery store to the internet. Before you start shopping, it's best to make a list of everything you need for the party. Without a list, it's easy to overspend on unnecessary impulse items. The following items are generally needed for a birthday party, so you should decide if you will purchase the items, make them yourself, or hire professionals to do the work. Most kids' birthday party supplies can be bought close to home. Unless you are planning a truly one-of-a-kind party, you can find everything you need within driving distance. If you are hosting a birthday party for a toddler or a preschooler, you will find most of your party decorations, invitations, and favors at your neighborhood grocery store. Grocery store items are often more expensive than other outlets, though, and might not be the best choice for a large party. Many party rental providers even offer kid-sized tables and chairs. These are ideal for toddler and preschool parties since adult sized furniture is simply too large for comfort. To find a party rental company, check your local Yellow Pages or visit the Yellow Pages online.